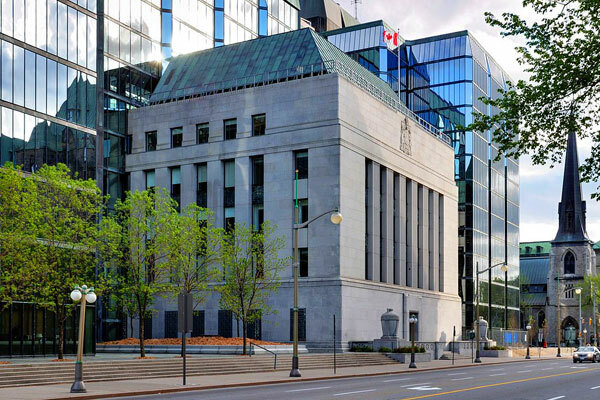 "Canada's economic growth has moderated, and the economy is operating close to capacity,'' the bank said in its latest monetary policy report, which was released alongside the rate announcement. "Some progress has been made on the key issues being watched closely by governing council, particularly the dynamics of inflation and wage growth,'' the bank's statement said. Canada's annual pace of inflation in February sped up to 2.2 per cent - its fastest pace in more than three years - to creep above the central bank's ideal target of two per cent. Meanwhile, the average of the agency's three measures of core inflation, designed to omit the noise of more-volatile items like gasoline, climbed slightly above two per cent for the first time since February 2012.